After image is a representation only. 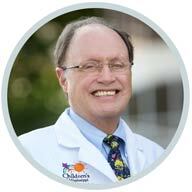 Children’s of Mississippi does not have a dedicated facility for advanced pediatric imaging. Instead, patients as young as newborns in need of MRIs or CT scans are wheeled in incubators, on gurneys, or in hospital beds a quarter of a mile through crowded hallways to the imaging area in the University of Mississippi Medical Center’s adult hospital. 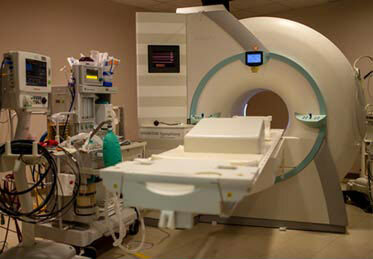 While the imaging procedure itself may take as little as five minutes, the journey to the imaging department and back can take as long as 45 minutes. The lengthy transport time may require that a child be sedated, even though the child’s condition would not otherwise have required the added risk. 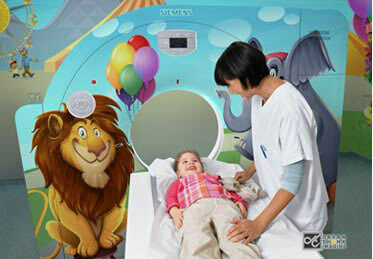 The sedation rate for patients at Children’s of Mississippi is significantly higher than sedation rates for the same procedures at hospitals that have well-situated pediatric imaging equipment.